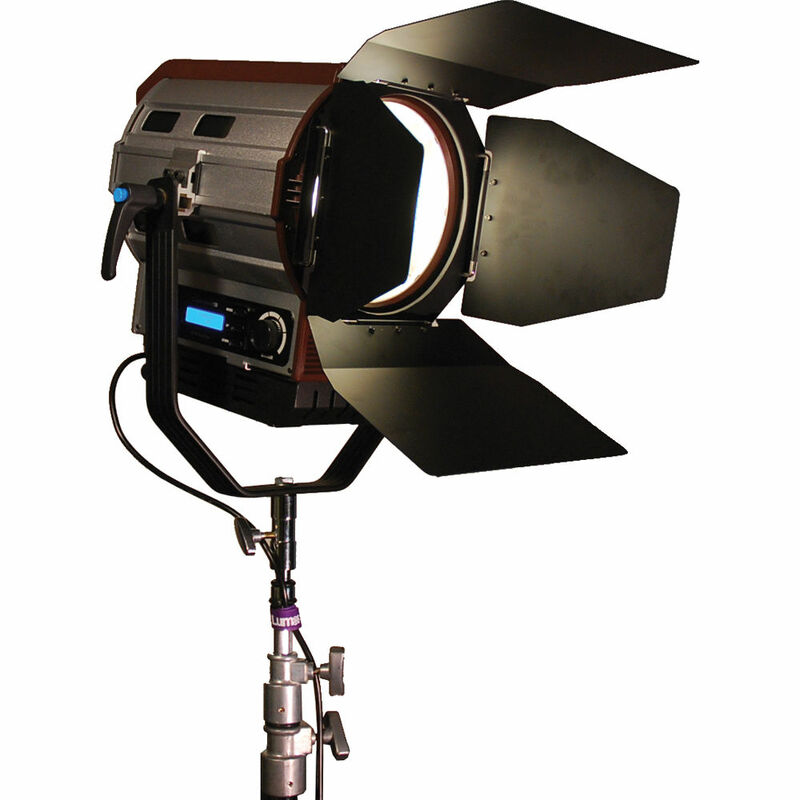 The daylight-balanced Hawk 150 LED Light with Barndoors from Lumos is a yoke-mounted Fresnel fixture with a 15-50-degree beam angle range, high CRI of 95 and 0-100% dimming without flicker, either manually or via onboard DMX512. Ideal for studio work, the Hawk 150 uses a heat sink for convection cooling rather a fan that might negatively affect the production's audio. It's powered by the included 100-240 VAC power adapter or optional 12-24 VDC batteries. V-mount or Gold mount battery plates can be purchased separately. The Hawk 150 ships with a set of four-way barndoors.